Liberty was part of the Pendleton District in 1800s, people in that era were mostly farmers. When Pendleton District had split up into Pickens and Anderson District; Liberty become part of the New Pickens District. It was officially recognized as a town when the railway was completed in 1870s. Like other parts of the Upstate in the early 1900s, the growth of cotton mills in the area brought changes in the lives of many, soon after people migrated from farming to earning wages. Several changes also happened outside of the mills like the introduction of electricity in 1910, water plant in 1918, police department in 1920, fire department in 1925. Liberty is a city in Pickens County located between Greenville and Clemson, South Carolina. It lies close to Interstate 85, and is part of the Greenville–Mauldin–Easley area. Liberty is in a wonderful location – mid-way between Atlanta, GA and Charlotte, NC. About 2-hour drive will bring you to either metropolitan area and all many amenities that the big cities offer. Covering over 4 square miles of land Liberty is home to over 3,000 residents. The most common industries in Liberty include textile manufacturing and construction. The most common occupations include working in construction and production. Health care, educational services, machinery, accommodation and food services are also common. The retail scene along Main Street and the revitalized Commerce Street offer variety of shopping options with a balanced blend of locally-owned businesses and national brand retail chains. Liberty has all the amenities one could find in a small community. Big city amenities are available within easy reach. Greenville is just half an hour away from Liberty. 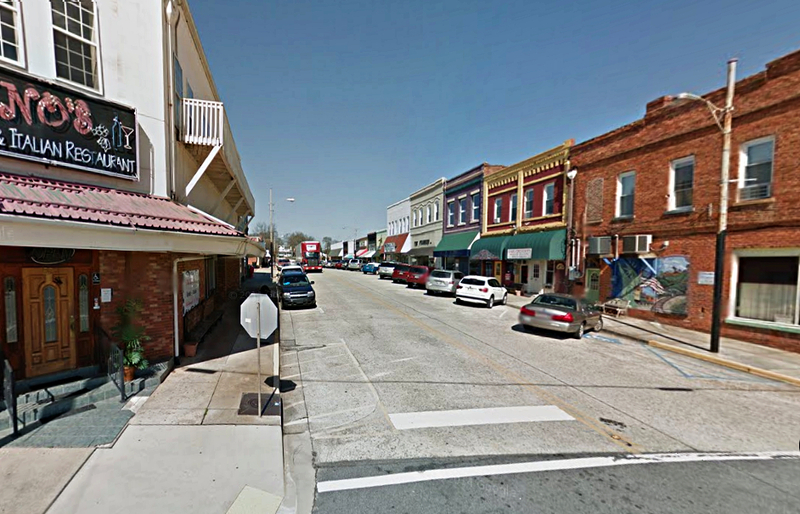 Liberty, SC is a lovely community set in the rolling hills of the Pickens County. Far from the hustle and bustle of the big cities, this community offers peaceful living and yet, still enjoy the amenities that contribute to a good quality of life. One can find restaurants and shops in the city center. Liberty celebrates a number of events from music performances, spring festival, holiday bazaar to Christmas parade. Many activities are also held in the Rosewood Community Center. One of the main attractions in Liberty is the Freedom Park that many visitors both from local and non-local visit to play, picnic, and enjoy family time. The picturesque Blue Ridge Mountains make this town appealing to anyone looking to find a peaceful environment and a simple life. Liberty is a great place for starting family and anyone looking to retire. From the beautiful topography and peaceful community, not too far from the bigger city amenities of Greenville, families seeking out a place a bit removed from the hustle and bustle of big cities will find a sanctuary in Liberty. In 2014, Liberty was named one of the safest cities in South Carolina. The city also enjoys a lower cost of living compared to other cities in the state. Liberty, SC offers a quality lifestyle and affordable homes for about 3,000 residents. Liberty real estate offers variety of housing options for home buyers looking in subdivision or non-subdivision area. There are plenty of choices to consider when relocating or buying a home in Liberty. The average real estate price range in Liberty is around $174,700. Buyers can choose from single family homes, condos or townhomes, older established neighborhoods to new subdivisions.